Yes, that’s right! 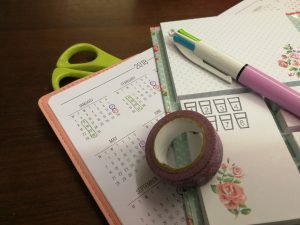 Fancy Diary Club is back on for 2019! We hold the Plan With Me Diary Club on the 3rd Sunday of each month from 2pm – 4pm. The cost is £5 per person and you can make use of all the supplies. All you need to bring is your own diary or a notebook that you love. There are no rules to this Planner lark, only that you do what works for you and when it stops working, you change it! If you would like extra time with the supplies, you can come in anytime from 10am on the day for the Drop-In, which will cost an additional £3. Make a day of it if you like! There’s a bit more about it in this article. Copyright © 2019 Unravel & Unwind C.I.C. All rights reserved.